The Resource Recovery and Waste Management Division (RRWMD) of Public Works joins a growing list of local organizations that have officially earned certification as a Green Business in Santa Barbara County. 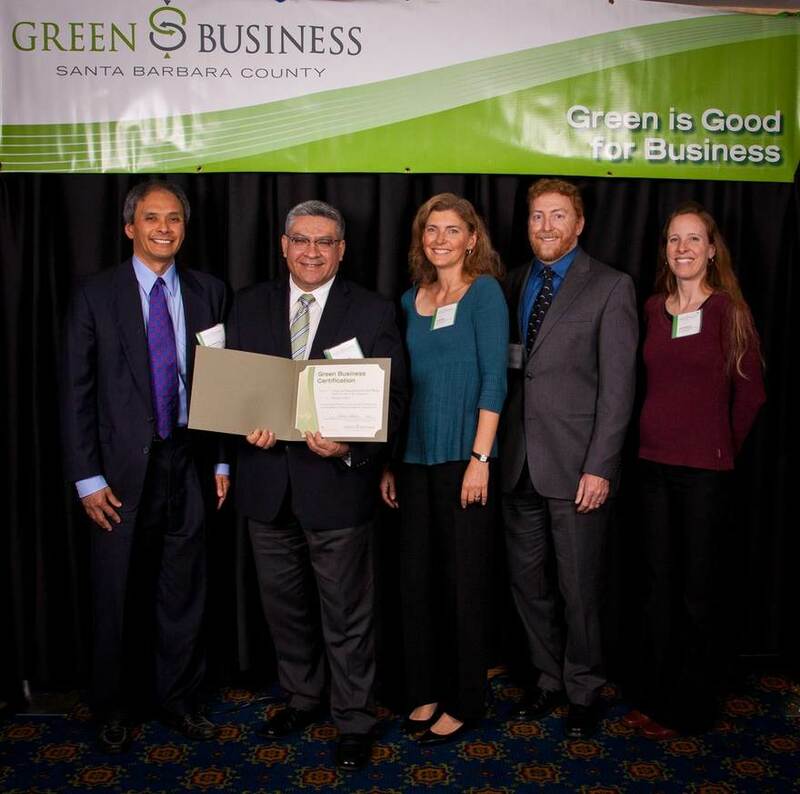 The Green Business certification recognizes the outstanding efforts of staff to implement sustainable and environmentally-friendly operations at the RRWMD’s office in downtown Santa Barbara. Some of the areas evaluated include waste reduction, energy conservation, pollution prevention, and water conservation. The Public Works Department’s Water Resources Division, housed upstairs from the RRWMD, also achieved certification, making the entire Naomi Schwartz building in which they both reside an official Green Business. Read more about the RRWMD’s recent certification by clicking here. You can also find more information about the certification program on our Green Business Program page.